Over the past two years, the number of Pakistani tourists visiting Azerbaijan has increased by more than eight times, the Pakistani Embassy in Azerbaijan said in a statement October 8. Meanwhile, international travel and tourism exhibition "Pakistan Travel Mart" was held in Karachi (Pakistan), the message says. The travel and insurance companies, hotels, airlines of Pakistan, Malaysia, Vietnam, Sri Lanka, Thailand, United Arab Emirates, Turkey, Iran, Saudi Arabia and other countries were presented at the exhibition in the Karachi Expo Center. 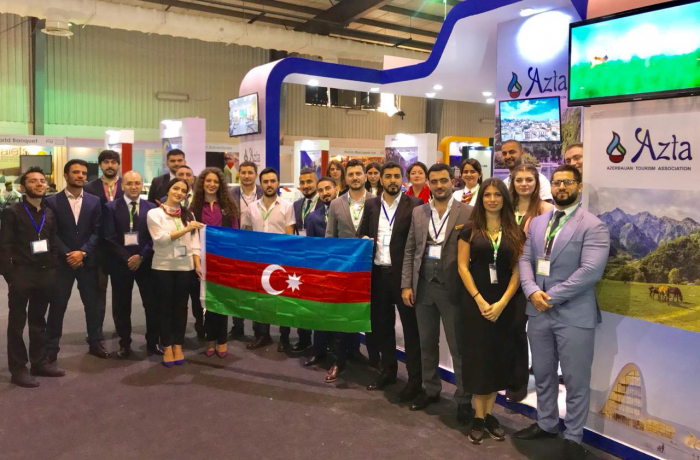 Azerbaijan participated with the second largest delegation of 30 people, being represented for the first time by the Azerbaijan Tourism Association (AZTA) and representatives of 18 different travel companies and hotels. The stands of Azerbaijan aroused great interest among visitors and exhibitors. In the framework of the exhibition, the conferences on various topics and an international forum were organized.